This fall/winter I will attend my first medieval event and therefor will need something to wear. 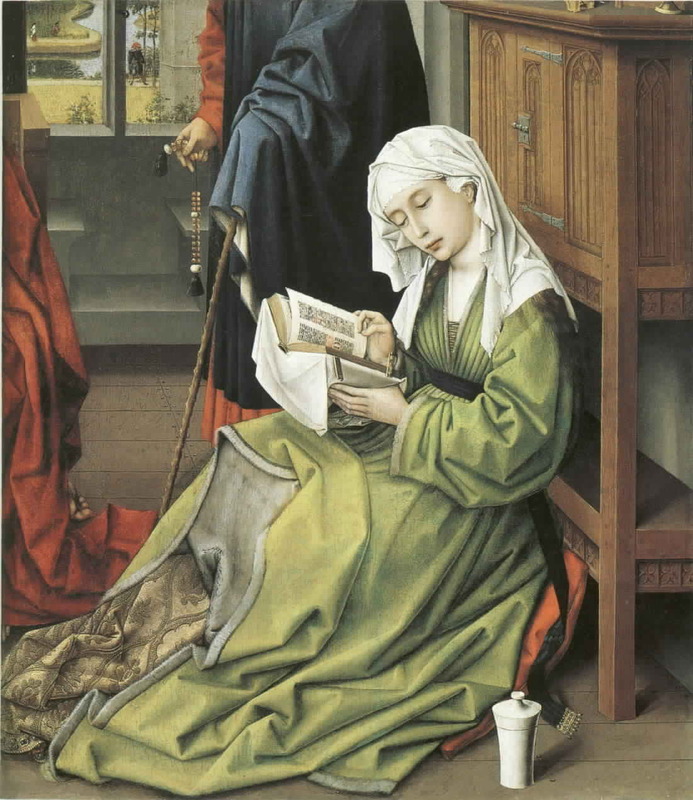 Odly enough I must admit the middle ages never tempted me before. 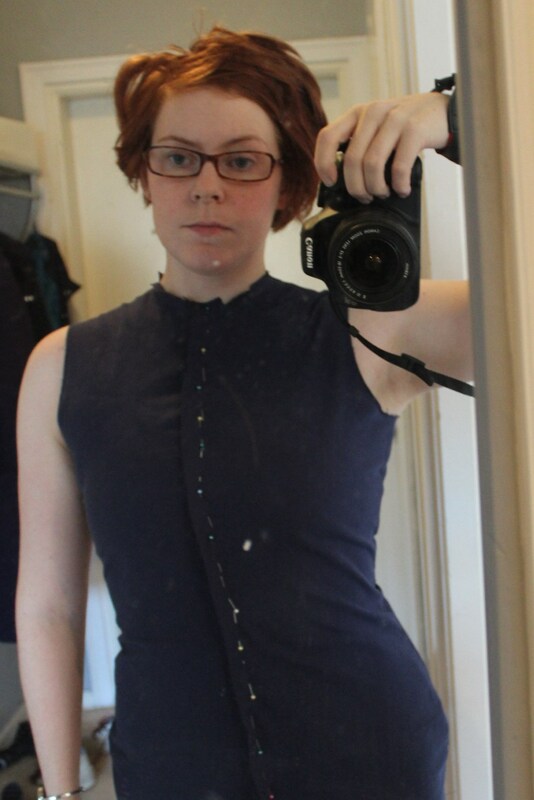 I tought the costumes and styles of the period seamed pretty plain and boring, and I figured I would never have the use of one. 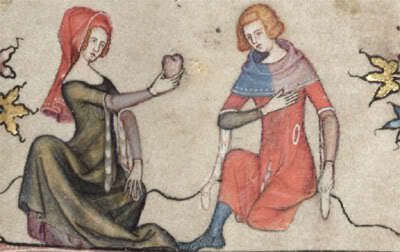 But when the invitation for a Medieval feast arrived from my dancing company I didn’t heasitate. 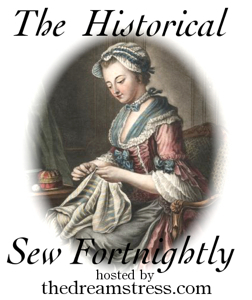 I signed up for both the party, the medieval dance course and the medieval sewing course. If you haven’t noticed, I have a tendency to go all in with things like this. 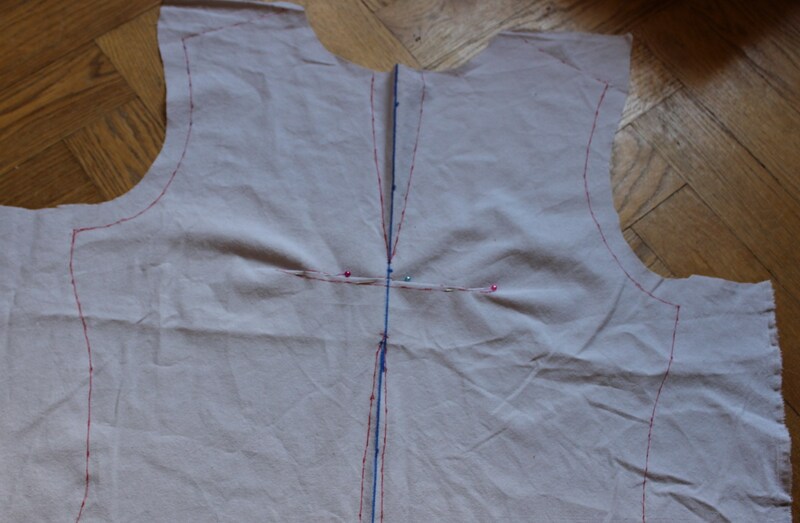 So now it was time to make an medieval outfit – and we only had about 1,5 months to do it. 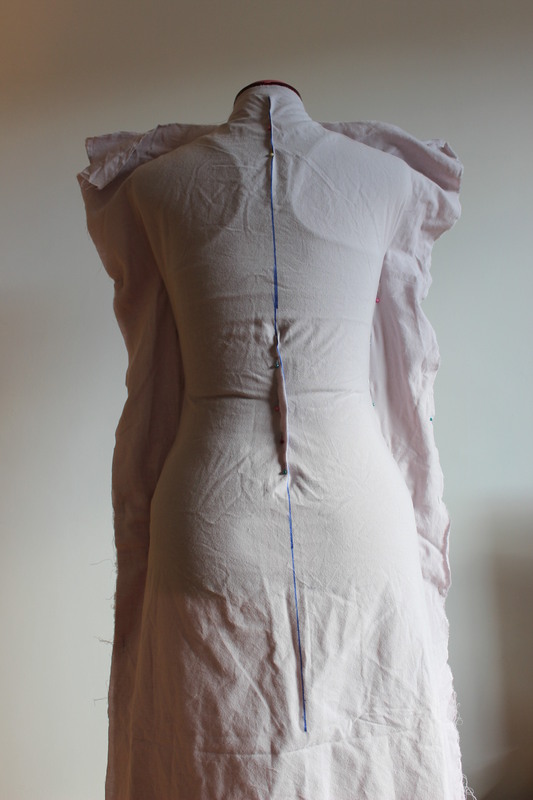 The first challenge was to decide on wich style of dress I was going to make. Or the pretty high waisted gown from later in the period. 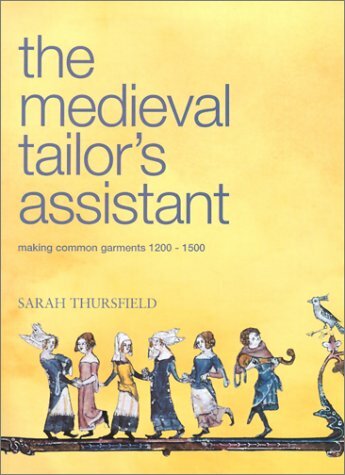 The sewing group was asked to by the book “The Medieval Tailor Assistant”, (I’ve already read through it), and will treat it as my construction bible for this project. 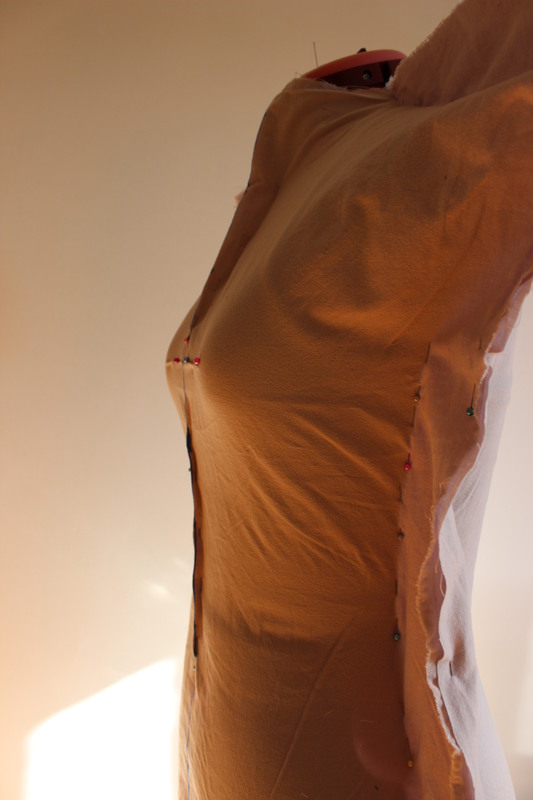 While still unsure about the dress style, I draped a fitted bodice pattern on my dressform. 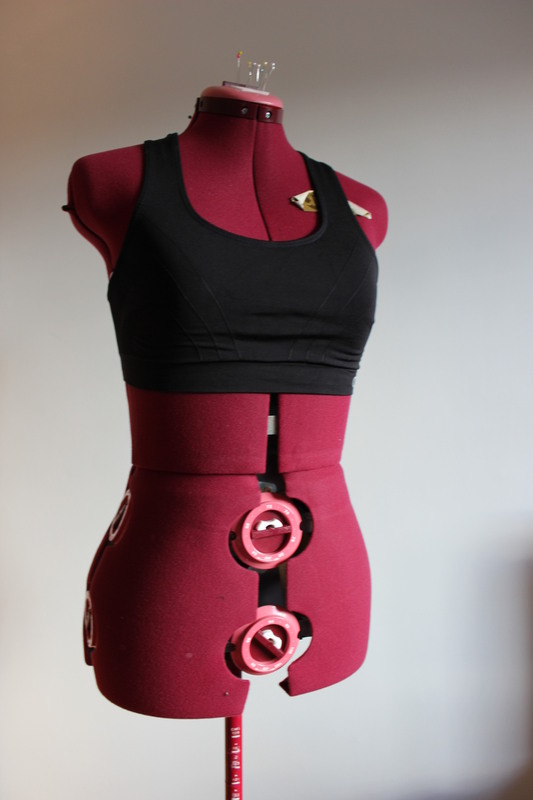 I adjusted her size to my mesurments and putt a sports-bra on her. 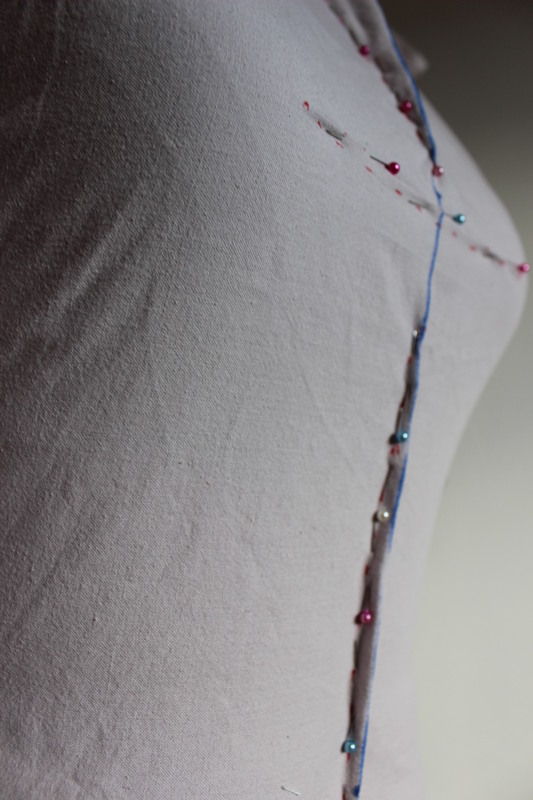 Following the instructions in the book, I cut and draped two pieces of fabric over the dressform. 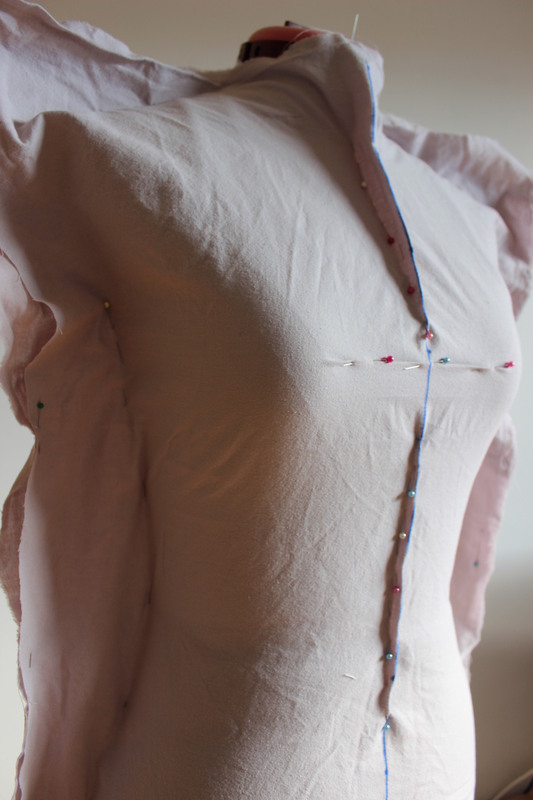 Starting with the shoulders, pinning the fabric close to the dressform. I did the center back and neck shaping. And then the same at the front. The front neck needed some big darts to lie nice and flat. 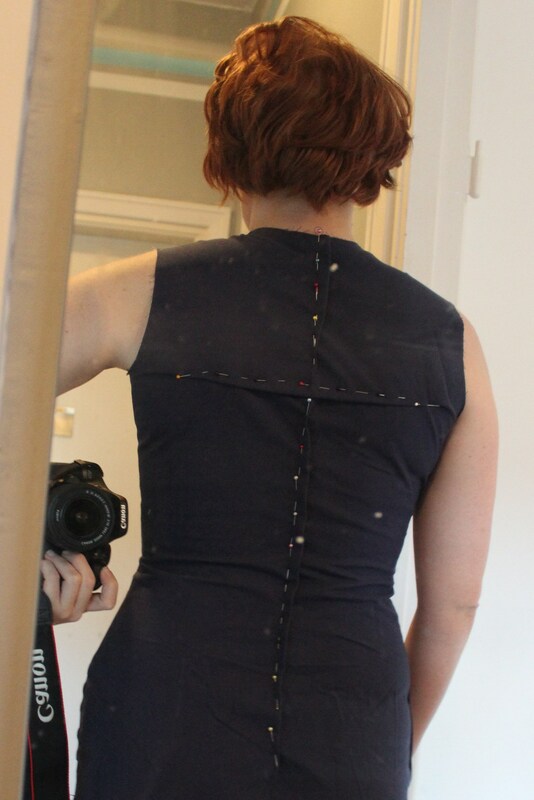 Side view of the front. 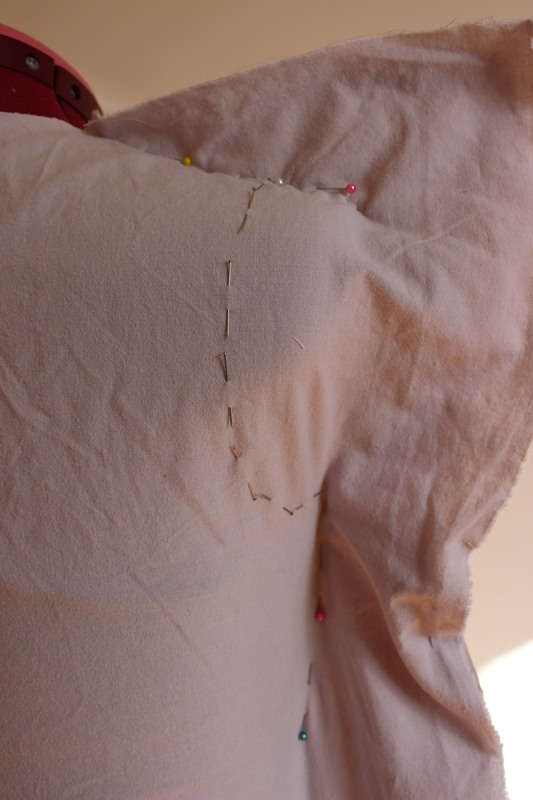 Then it was time to mark the armholes. 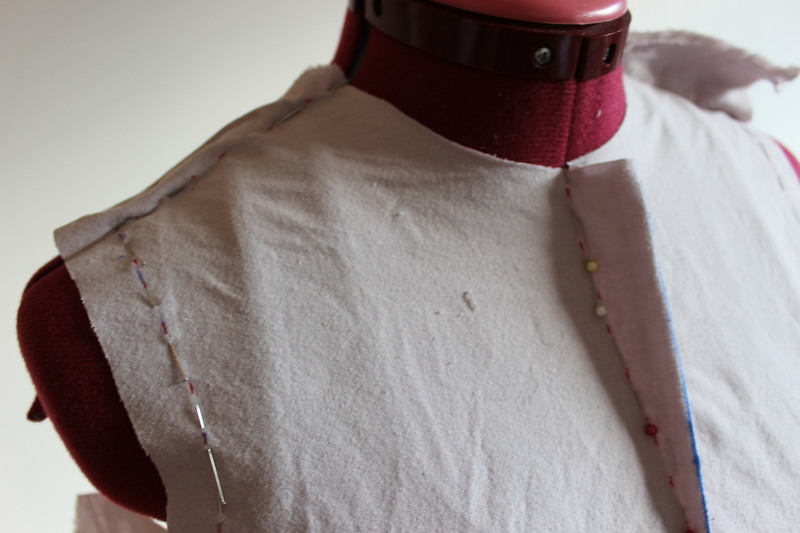 Cutting the exess fabric from the neck and armhole. Then I marked the lines with a red marker, making sure not to miss any needels. 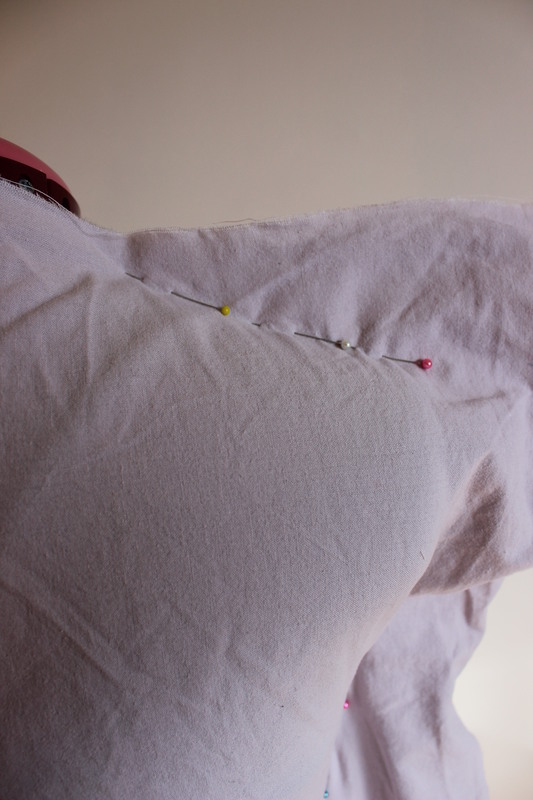 And removed it from the dressform. Lying falt on the floor, I traced the dotts to make some nice looking lines. 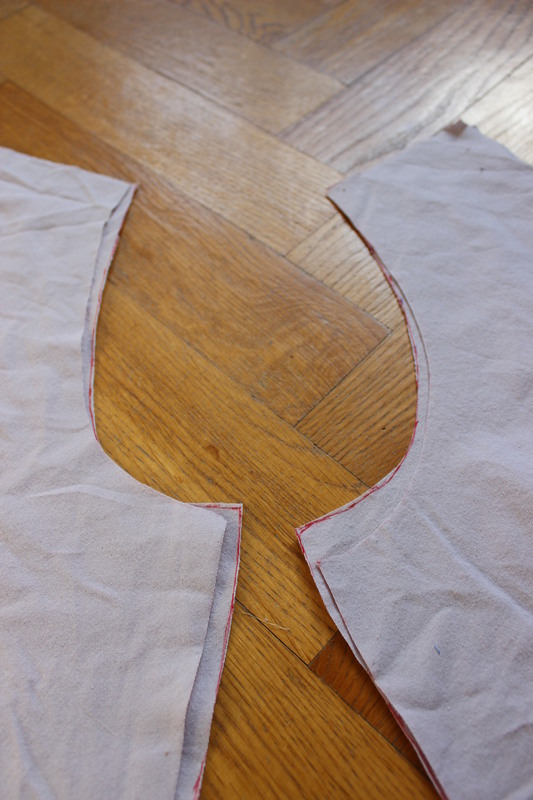 The vertical darts will be left closed while cutting the toile. 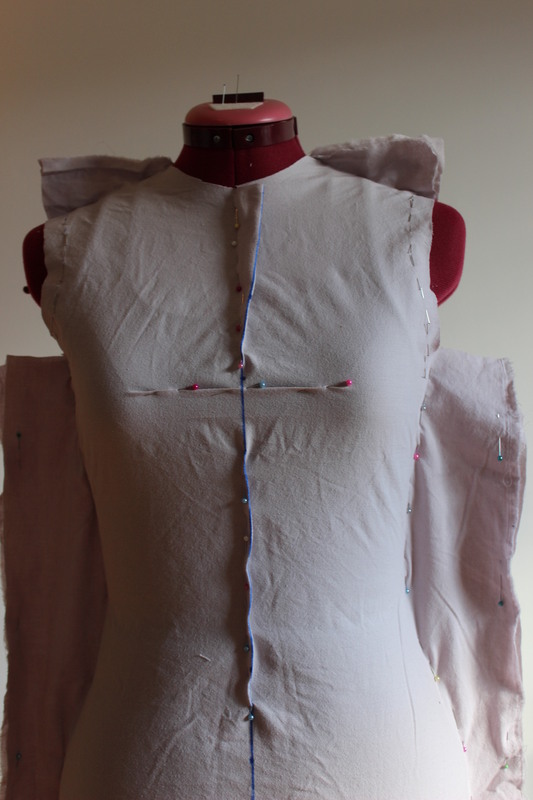 Cut the pieces out, and place the front pieces (and then the back pieces) on top of each other. Adust the lines. 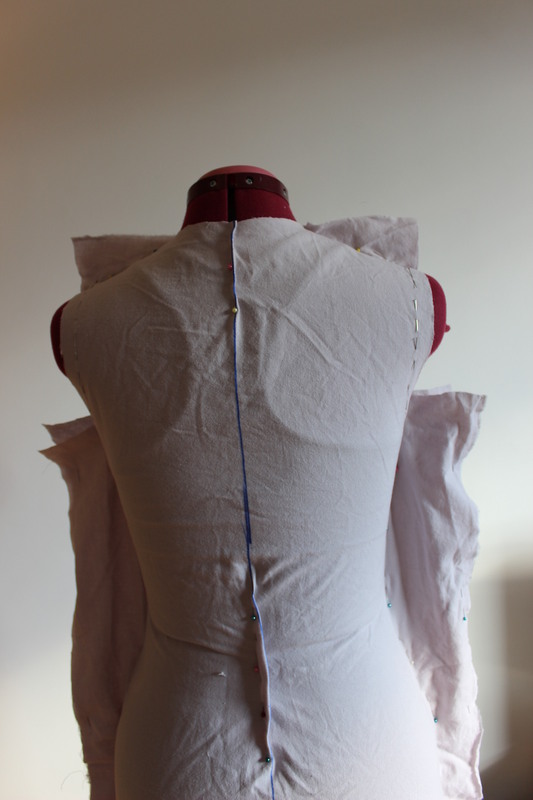 Trace the pieces to a cotton fabric, and cut the toile. Make it up and try it on. 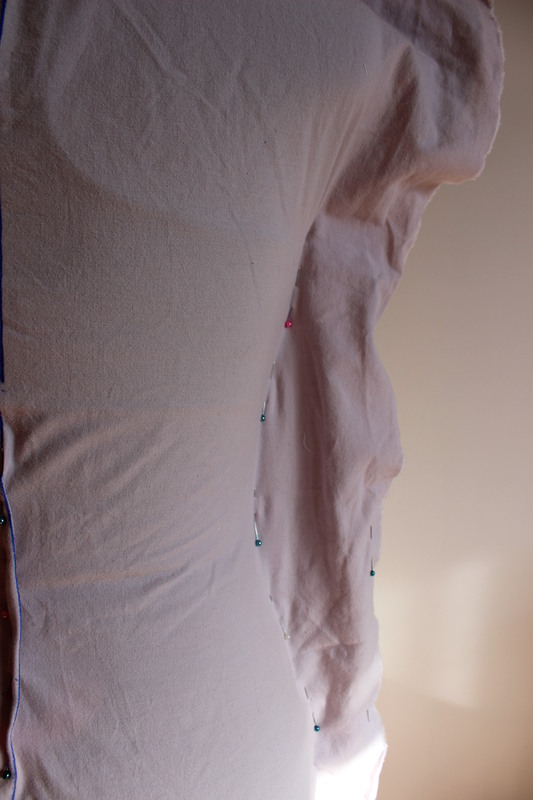 Since I draped mine on a dressform and not straight on my body, there was a few adjustments that needed to be done. 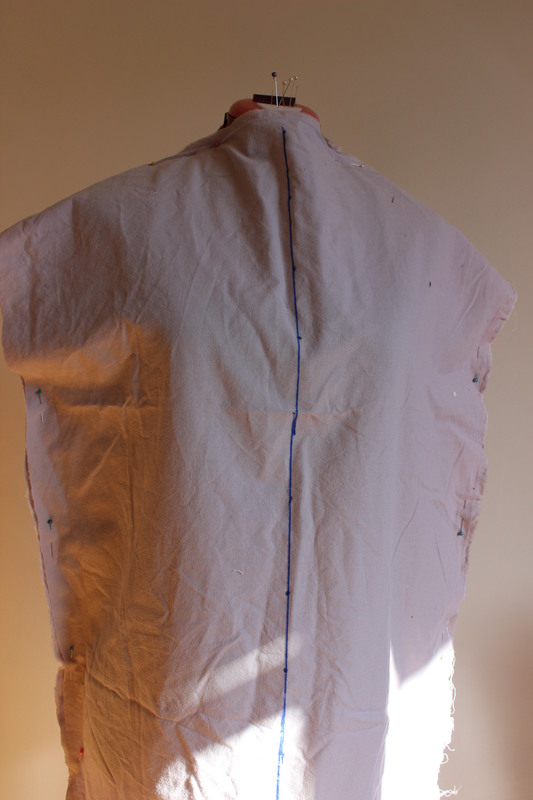 I took out some width at the center back and also placed a vertical dart at the shoulder blades. 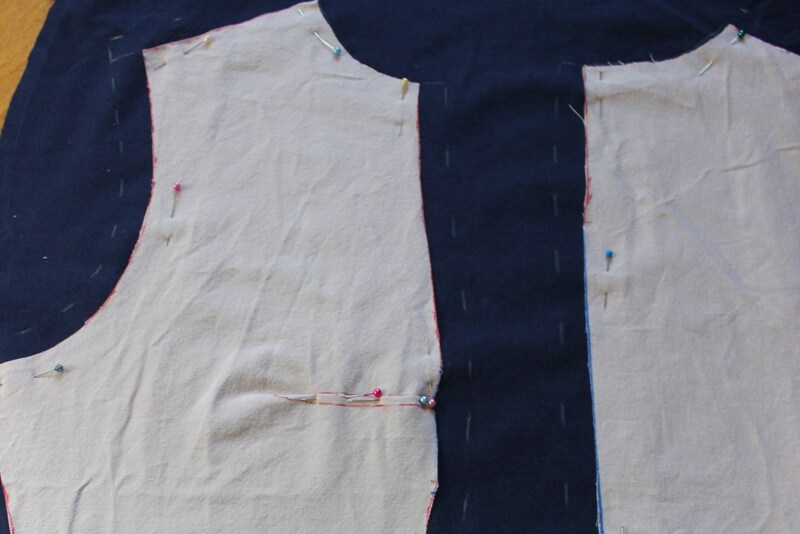 And there you have it – your bodice blocks to make your pattern from. 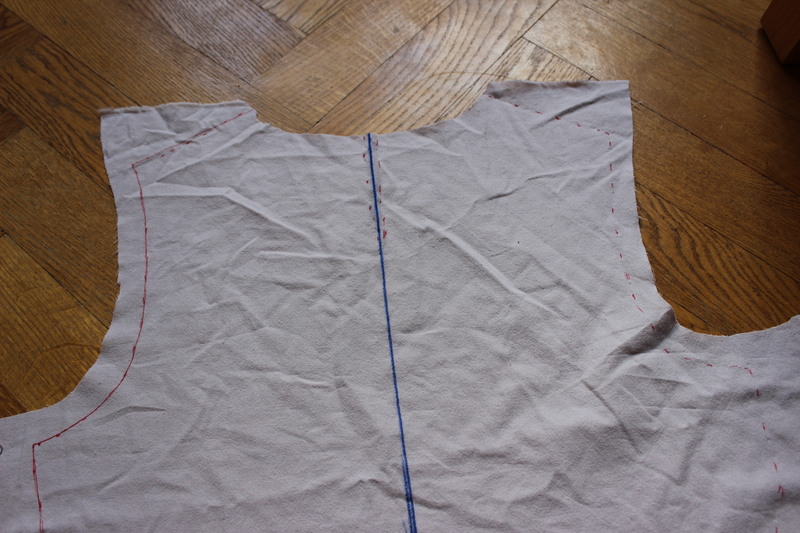 Now it is time to start with the actual pattern. 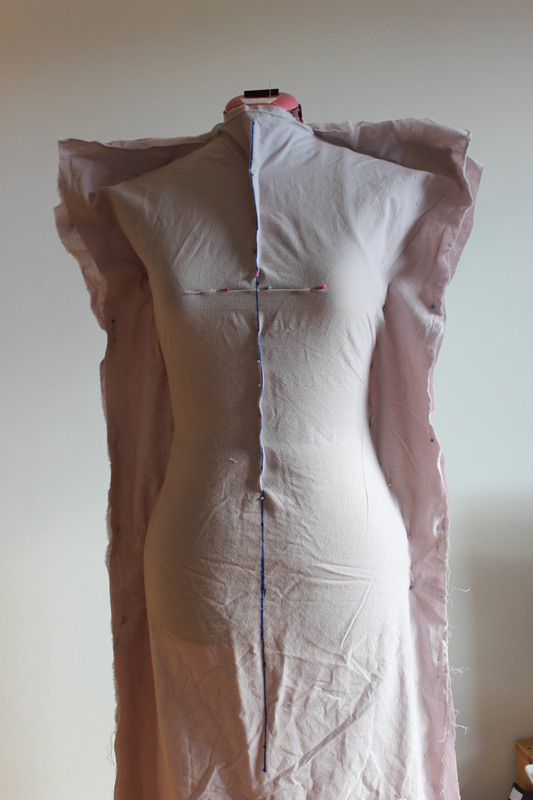 Which dress I will make?